A mainly sunny sky. Warmer. High 73F. Winds NW at 5 to 10 mph..
A Chickamauga businessman and city council member has announced he will run for the Walker County commissioner’s post. Shannon Whitfield said he will seek the Republican nomination for the position in the primary election in May. Whitfield, a lifelong resident of Chickamauga, said his decision to run for the sole commissioner's seat is based on a desire to see positive change in Walker County. “I want to offer a choice for change to the residents of Walker County,” said Whitfield. He is the vice president and CFO for Whitfield Oil Company in Chickamauga. · Communities in Schools, where he served three years on the board and one year as chairman. · Oakwood Christian Academy, where he served three years on the trustee board. · Upward Basketball program in Chickamauga where he was the first league director. · The Walker County Chamber Of Commerce, where he has served on the board of directors and executive board in the capacity of treasurer, vice chairman, chair elect, chairman and past chair. · The Chickamauga Library since 2010, where he served as board chairman from July 2013 to June 2015. 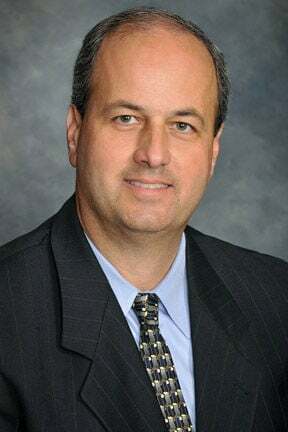 · The Cherokee Regional Library board since January 2013, where he served as vice chairman from July 2014 to June 2015, and currently serves as board chairman. · Was appointed to the Chickamauga Planning Commission in 2013. · Elected to the Chickamauga city council, starting January 2014, with oversight of the city recreation department, and the city planning and zoning. In 2002, Whitfield was named “Rookie of the Year” in 2002 with the Association of Independent Oil Distributors (AIOD), was awarded the 2008 AIOD “Vision Award” and was named AIOD “Member of the Year” in 2012. In 2008, he was named the “Member of the Year” by the Walker County Chamber of Commerce. A graduate of Gordon Lee High School, he was also awarded the Gordon Lee Memorial High School Distinguished Alumnus Award in 2011 for civic involvement. Whitfield and his wife Dayna have been married for 23 years and have been the owners/operators of Kid’s Exchange Consignment store in Chickamauga since 1997. Their oldest daughter Erica attends the University of Georgia. Their youngest daughter Jordan and their son Daniel attend school in Chickamauga. The Whitfields are members of Oakwood Baptist Church. A campaign kick-off event will be held Saturday, Nov.14, at the Walker County Civic Center from 5-8 p.m. The event is open to the public to meet Whitfield, who will address those attending 6:30 p.m. Guests are encouraged to RSVP for the kickoff event on Nov. 14 through Whitfield's Facebook page at www.facebook.com/electshannonwhitfield. Complimentary hot dogs, chili, and Frostys will be available while supplies last. For more information about Whitfield's campaign, please visit www.whitfieldcommissioner.com.